There are a few products that are must-haves for those of us who enjoy being active in nature. Runners need a solid pair of sneakers that will help protect their joints. Basketball players need a pair of shoes that will help support their ankles to avoid a devastating foot roll. When it comes to mountain climbing and hiking, though, a proper boot is ideal to avoid slips and to protect feet and ankles. Trainers specifically are meant for protection against breaks and strains. They are meant to be sort of a jack-of-all-trades in that they can be used for many different types of activities seamlessly. They provide additional support and impact protection as well as comfort and durability for those who may fumble a bit. Proper footwear will make all the difference down the road because it will help especially when in sticky situations. When climbing, the proper tread is required as this will stop the climber from slipping on rocks and it will help hikers potentially get over more steep hills. Having a supportive ankle will protect the ankle from any potential sprang or break as well which could mean life or death if in more remote areas. Having proper ventilation is also very important because extra moisture build-up will cause unnecessary blisters or calluses as well. Having a good pair of hiking boots will make all the difference and make the experience far more enjoyable rather than painful as it can easily become. This review is on the Salewa Mountain Trainer Mid GTX. This is a cross between a runner and a mountain boot, and you can tell too by its unique appearance. It is quite sporty in appearance with clean, curved lines that give it more of a fashionable design. 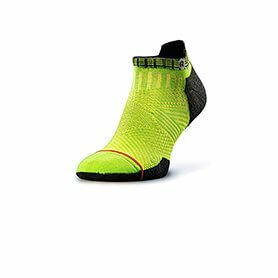 They are meant for more intense hikes but can also transition easily depending on the sport or activity being done. They have a high back for ankle and heel protection as well as 360-degree rubber rand which will help keep the opening of the boot closer to the ankle, preventing rocks and debris from getting into it. It also has a climbing lacing system which is supposed to give better support and allow for better performance according to their website. We have done some research on this boot, looking at different reviews as well as the make of the product (like the materials used, the function of it and the additional features) to get a better idea of the quality of this boot. 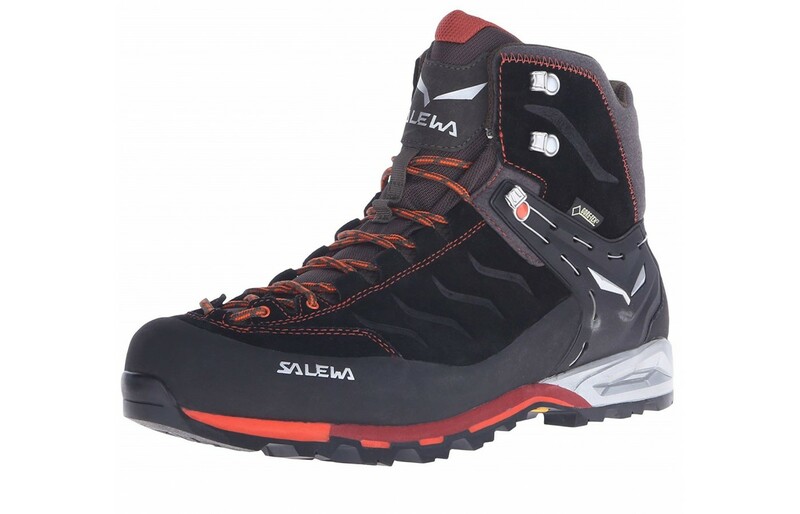 So here is our review on the Salewa Mountain Trainer GTX. This product has a waterproof gore-tex membrane which is supposed to not only waterproof but breathable. Gore-tex is a product that is micro-porous which helps with its waterproof function. It is synthetic and is usually used in outdoor clothing and footwear. This issue with gore-tex, though, is that many complain that the fabric doesn't breathe despite the company claiming it does. There are reviewers saying that their feet get a little warm which isn't an issue in colder climates but could be on in warmer ones or in times when cooling is required. This could ultimately cause the climber or hikers foot from getting too hot and then possibly cause sweating, odor creation, shortened hikes, sweat and therefore slipping, sliding and possibly blisters. That said, reviewers didn't complain that it was too hot to hike in, just that their feet got a little warm which is a positive. Overall, it seems that the breathability isn't as good as comparable models however not a point of concern of the shoe and didn't change our rating at all. This product has a 360-degree rubber rand which secures the product in place not only at the heel and the upper but also around the ankle. It also helps keep debris out of the shoes as well as water. The lacing system goes from the toe all the way up the ankle which also provides for a much more secure and customized fit. The midsole of the shoe is ergonomically shaped to cradle the foot of the person wearing them and the flexible collar of the boot helps to allow more natural movement on all different types of terrains. Reviewers that wore this product confirmed the comfort of the shoe. Because this is the most important feature of any shoe, this was the first thing reviewers stated, which is the level of comfort. Reviewers stated that they were able to go on longer hikes and climbs as a result of it. The comfort level was definitely not an area of concern for this boot and definitely helped our rating for the product. This product, as mentioned above, has a gore-tex membrane which helps keep water and moisture away from the inside of the shoe. The membrane is porous and therefore absorbs the water rather than letting it leak into the boot. Those who reviewed this product confirmed that despite numerous attempts to break down the waterproofing, the foot remained dry. Feet remaining dry is important not only for the obvious reason (comfort) but also because wet feet will cause blistering and could potentially be dangerous. Wet feet may encourage slipping and this could cause the wearer to fall which could in-turn cause major injuries. Keeping the feet dry and free of debris will keep the hiker safe and secure when out on the trails or on the mountain. The insole of this product is made of Cleansport NXT organic natural odour control. This helps keep the bacterial buildup down and help the shoe smell better over time. This will be particularly attractive to those with existing odor issues as well as help add longevity to the life of the shoe. This affects the longevity in two ways: the first in that people tend to throw smelly shoes away faster. No one wants to have to wear smelly shoes long term. It also prolongs the longevity because the bacterial and moisture build-up will break down the materials of the product faster than if the shoe didn't have either. In the long term having an organic anti-microbial product included in the shoe will provide life and satisfaction. Unlike comparable products, the upper of this boot does not have mesh to encourage airflow. Instead, it features Nubuck leather (an extremely soft and durable leather usually found in this type of product) and a lace-up system that runs right from toe to ankle. This allows the wearer to really customize the fit and should be able to fit those with both wider and narrower feet. Nubuck leather is superior in that it is also not terribly heavy, therefore weighing down the shoe and the wearer of the shoe. Light shoes encourage longer hikes due to less foot and leg fatigue. The Nubuck leather is 1.8 mm thick and is very soft to the touch. The disadvantage, as mentioned above, is that it keeps the feet a little warm however the shoes remain waterproof and snug to the foot which is important. Overall, the upper is an interesting design and encourages a better fit which is great. The sole of this product has "Salewa 3F " technology which helps keep the foot more snug in the boot. This is important because this means the foot won't slip around as much while hiking. Again, too much movement of the foot within the shoe could cause trips or falls which could lead to much larger injuries. Having the heel fit secure and comfortable in the boot will make all the difference especially when in more dangerous situations (like steeper inclines). Additionally, keeping the heel in place will stop blistering too. The sole of this product is made of a mid-stiff nylon which would provide better arch support without causing too much pain for those with arch issues. Reviewers, as mentioned previously found this product both comfortable and supportive. The footbed of this product boasts that it is a 'multi-fit' system, which would offer a better fit to those with different sized feet. A reviewer with more narrow feet confirmed that this product fits on their feet surprisingly well. There were a couple people that also had longer feet that said these boots fit like a dream as well. There weren't a lot of comments from people with wider feet but there were no complaints either. The foot-bed would probably be the reason that they fit so well and, of course, the lacing system. Fit should not be a concern with this product. The outsoles of this product are made with Vibram. Vibram is a material that has one of the highest degrees of abrasion resistance. It was first used in the first climb on K2 back in 1954. It has since been used in a good number of high quality of hiking gear for that purpose. 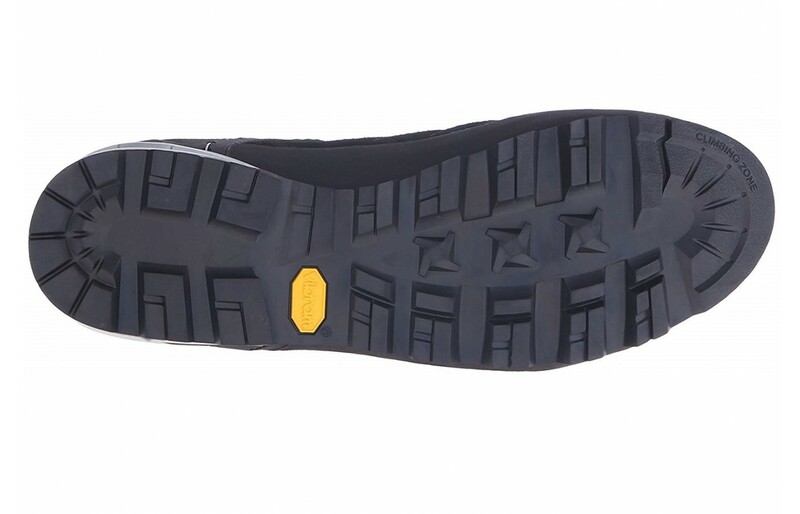 This product has 'Vibram Alpine Approach' traction and this is to help secure footing. 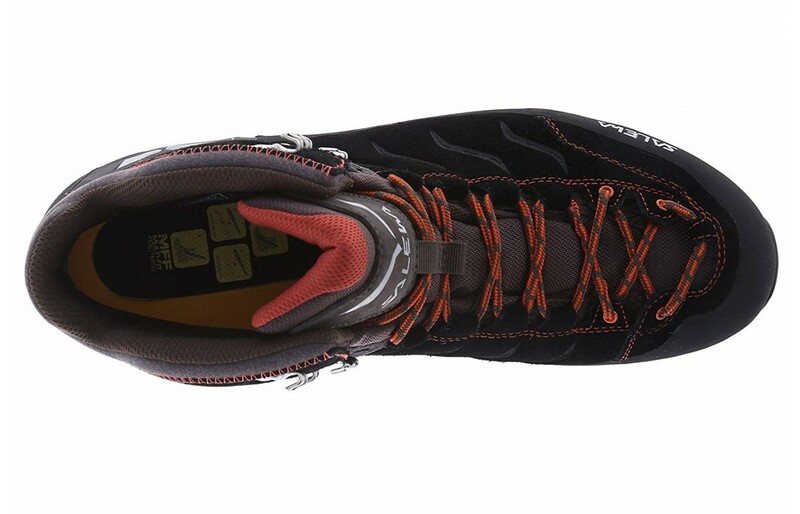 Reviewers confirmed that this particular boot has one of the 'stickiest grips' they have seen in hiking boots. Even when on wet and muddy surfaces, reviewers confirmed that the gripping was still there and that they felt secure in the boot and that they would not fall or slip. This will help keep the climber or hiker safe and avoid injury which isn't always considered but should be thought of even more so than comfort. The traction of this boot is impressive and shouldn't be of a concern to the wearer. This added points to our rating. This product is quite stylish in design. They look a little more fashionable than traditional hiking boots. They definitely have the look and feel of a trainer in that they look both durable and sporty at the same time. The product comes in several different colors but the design stays pretty much the same. The boot sits higher on the ankle with cushioning around it. The product has curves that shape the foot perfectly. The ergonomic shape is clear not only in feel but also in appearance. It looks as though it fits the foot perfectly due to its lines. The base of the shoe has a clear air pocket meant for impact reduction but also adds a nice appearance to the shoe. It has beautiful Nubuck leather on top that almost looks like suede which can cause some discoloration but on the black ones would probably not show as much. The product is also thinner and more narrow in appearance giving them more of a sporty look rather than a traditional bulky one. Overall, the style of these boots is superior to comparable models. Overall, this product is pretty great. The design is fantastic; they are quite attractive in appearance. They are comfortable and keep the foot in place. They are also light which will decrease any dragging and foot/leg fatigue, extending the length of the hikes or rest times during it. They are completely waterproof, as well as debris-proof for those in dirtier or wetter climates. One issue is that the waterproofing may impact the overall breathability of the product. There were far more positive reviews than negative ones which help the overall rating of the product. The biggest issue with this boot seems to be the breathability, however, with the anti-odor insole, this should help. And it didn't seem as though the heat generated impacted the overall length of the purchasers hike. 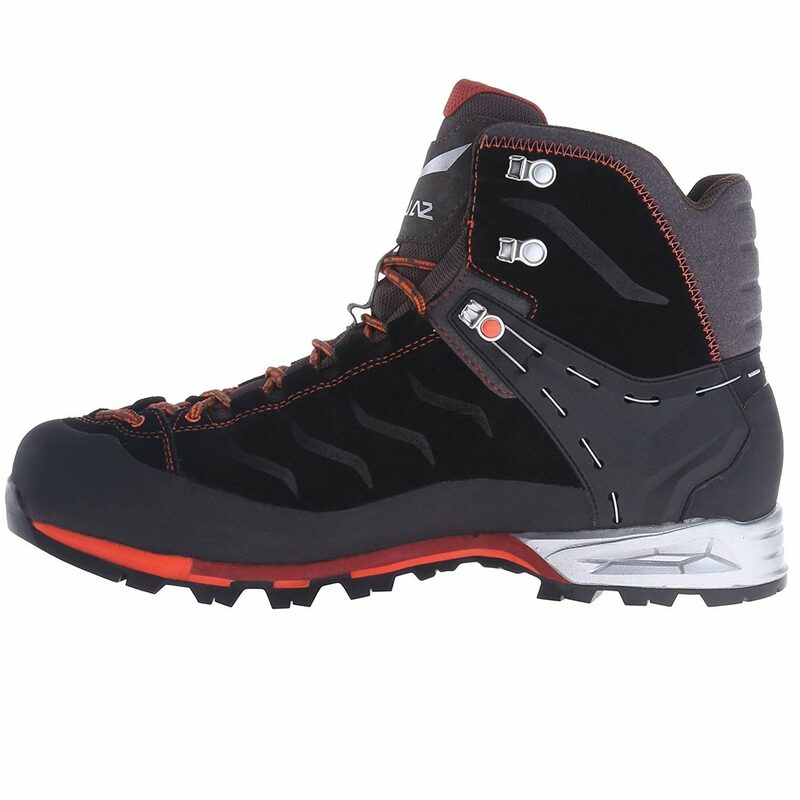 Overall, this boot is a highly rated product and a good purchase despite the price.